Woodcarving in Elm. A commission from Forestry Commission Scotland for HaughHill Community woodland in Pollok, Glasgow. 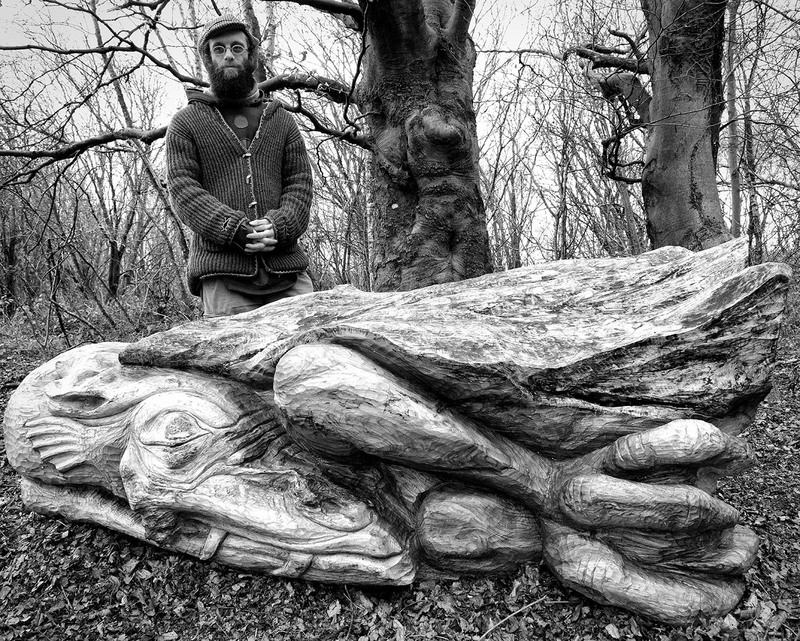 The piece is a sleeping dragon that guards over the woodland, awakening to defend the trees when needed.